Is there a God and does he have compassion for human beings? Will he finally push me into the junk shop where I’ll schlepp 2/3 (gladly more – we drive a VW Bus) crates of records, all for free, and Erwin helps to carry them, just to finally get rid of it all. Compared to everyone else I’ll lose fat and get rich, if the rare stuff is found and there’s still enough left for my private collection? This question came up (once again) this morning. What happened? Streif opens his store every Thursday. The antique record store Schallplattenantiquariat Streif, Kruppstraße 12 in Moabit will be on display soon in the video blog about my favorite Moabit spots). People meet here from 12 noon until 8 pm. There’s a table in front of the door during nice weather. It’s a bit like it is at mom’s, copious amounts of coffee and an extra cake baked every time. One of the few places where smokers can puff away until they keel over. That’s why I never stay long in the winter, because the door is closed and clothes smell like they used to after visiting a bar in the old days and have to be hung outside on the balcony (first have one). But it’s repeatedly the same group that boozes and munches out there. It can also be a challenge. There are those who are loud and those who are quiet and most here are loud. They are all in the right, and only they, all know, what only they know, and loud. One has to top the other. (Exactly. A bit like kindergarten). Yes, I know that I fit in there well. But otherwise, there are tons of shellacs and vinyl and that’s why I go there. It used to be that “my dealer” meant something else. There are two ways to avoid the loudness. Be there early at 12 noon or late evenings when it’s mostly emptier. The third is not to go every Thursday. Yesterday, I was alone with Streif after 7pm. No idea what happened. Maybe mom threatened to be home for supper on time??? Well, okay, we chatted and gossiped and were right a lot of the time. Right before leaving, yet another safety pee, am getting older. I was headed towards the loo and there lying on a table is a shellac album, with a very pretty cover. – There’s nothing wrong with not knowing this: If shellacs are supposed to be like singles, on the front, back, all set and in a paper sleeve with a hole in the middle so one can see what’s on it. 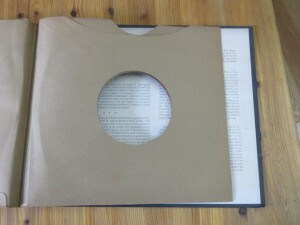 But this was also available already for albums and later for 45 vinyl singles. But the comparison is not completely right though. In the sixties we compiled the 45 albums ourselves. Bought the album blank and then put the singles on it. Maybe more comparable to album boxes. Once, sure because of classical, a symphony doesn’t fit on two sides and what would be better than making an album out of it, but there were also a few non-classical artists who had albums. 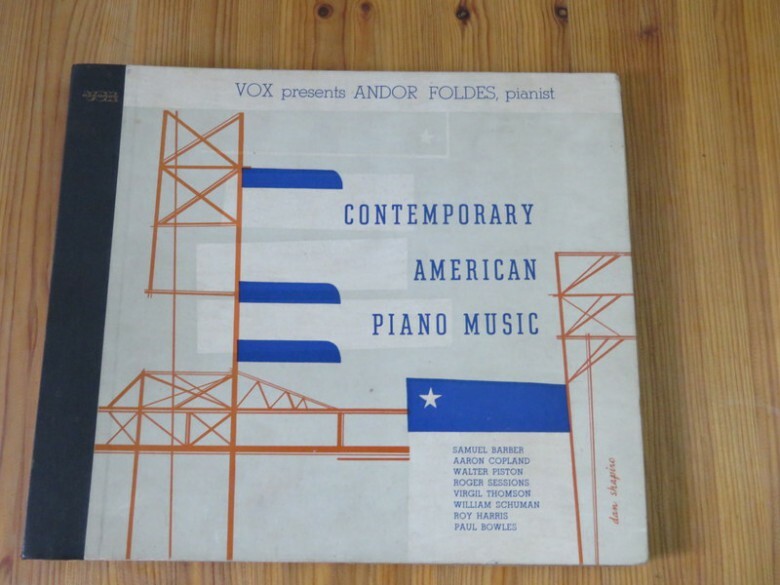 So an album was lying there: Contemporary American Piano Music by Andor Foldes (actually Földes). Nicely made, the keys positioned like the stripes in the stars and stripes. It caught my eye, which read the composers, especially read a name. Streif says: “Well only Aaron Copeland is actually known”. I say: “nah, Samuel Barber should also be known”. The last name interested me. I picked it up. Streif says: “but one record is missing”. Believe it or not, I felt a sudden blow. It was completely clear which record was missing. I could have put it down and left. But if something hits me, it really does. 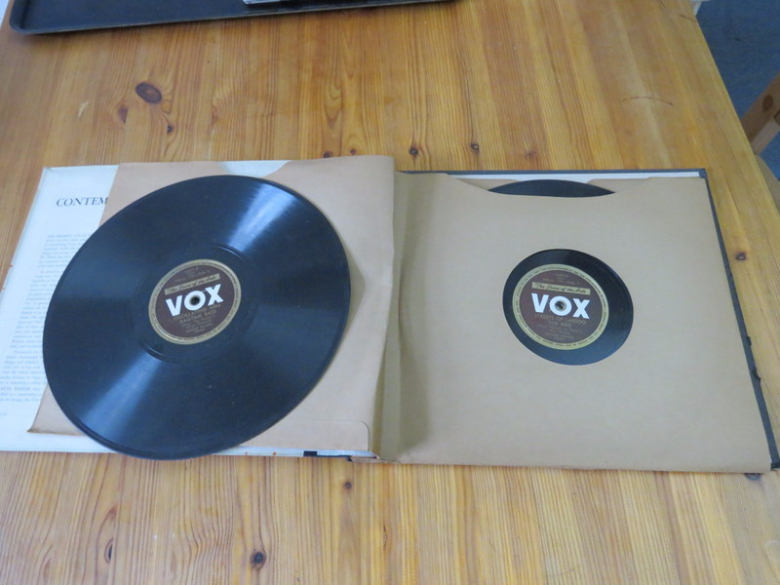 I open it and look at every part and of course, the last record is missing. 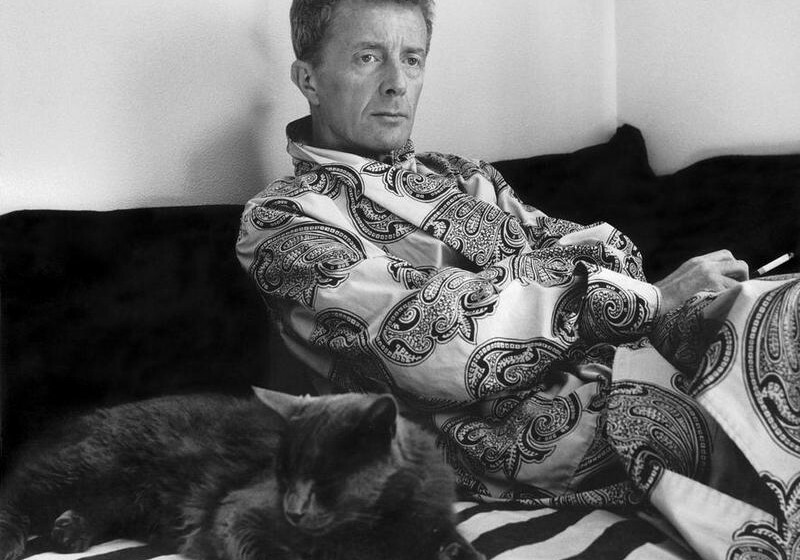 The recordings with Paul Bowles’ tracks. 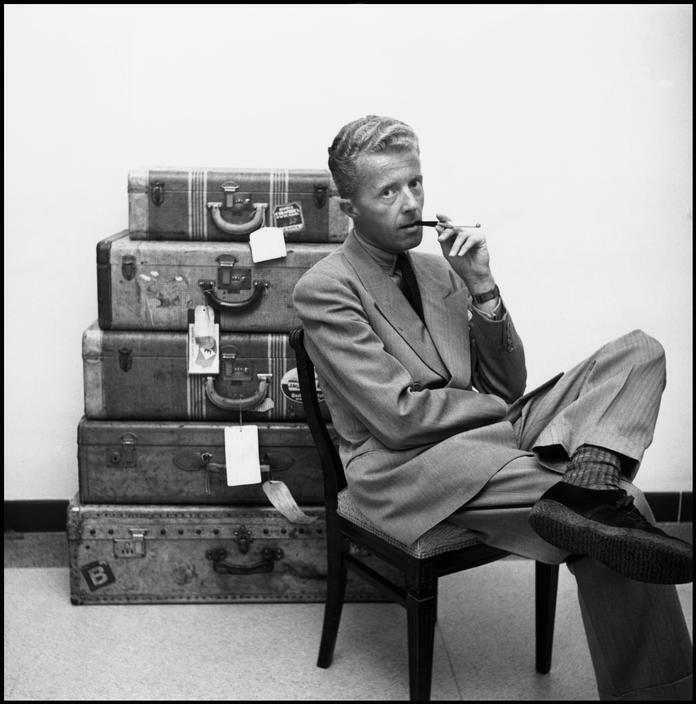 Now I should put some energy into explaining who or what Paul Bowles is. Why it interests me so much and more. But that’s too much and I’m already planning something next week. Summary: My German teacher Otto Citron always said. He only became known in Germany because of his novel “The Sheltering Sky” (1949), and even then much later due to Bernardo Bertolucci’s successful 1990 film – with the old actor impressively depicted as the story’s commentator. 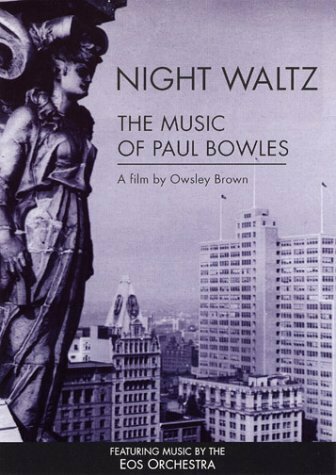 Bowles, son of a New York dentist, began his artistic journey as a composer, writing mainly stage and film music. As of 1947 he lived in Tangier, which he previously got to know on one of his many voyages. Morocco and the desert subsequently played a major role in his novels and stories which were for the most part inspired by his wife Jane. After her death in 1973, he lost interest in writing because he could no longer read to her, he said. He died at age 88 in 1999. Well, became famous is maybe somewhat exaggerated. It’s been an insider tip ever since. I became familiar with his music through a film, which played at the 1999 Berlin Film Festival. Afterwards I began to engage myself with his music. That was a really uphill task. There was one CD from a singer, two piano CDs, and this continued for years. Then I found an LP, one side Weill, another side Paul Bowles. The internet wasn’t like it is today but still, the film had initiated something and I now knew that he initially wrote, while still in New York, theater music, ballets. For Tennessee Williams’ “The Glass Menagerie” for example. But, what was recorded, nothing? There was no discography, not even an attempt. Nothing brought light into the tunnel. No one knew anything. I approached his German book publisher, his German translator, a very nice lady. They all thought it was great that I was looking but none of them could help me. 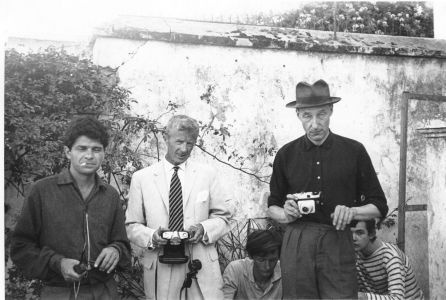 Paul Bowles was the leader of the Tangier faction. A lot of Americans lived there or came over from Paris. The translator had already warned me. I was faced with the Bowles Society. A discography, the way I dislike it, made up of only CDs and not even complete. Even I already had more. So I wrote them and that’s how I arrived at a “keeper of the Grail” department and then from there to the next one. A bit like it is at Streif, all loud, everyone is right. The difference: they don’t drink coffee together, they are all enemies. Each group is “the Original” and only truth that counts. 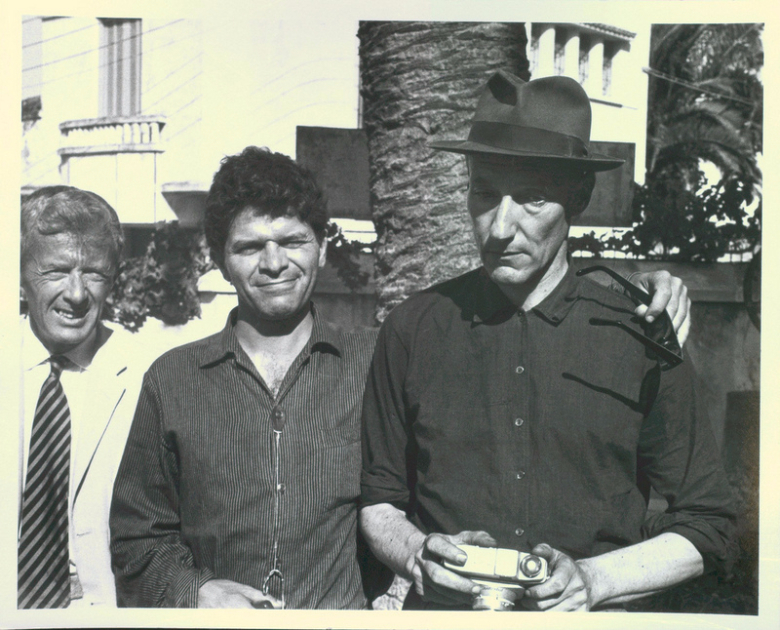 The Paul Bowles Society had a book with his musical texts. Lilija had it ordered as a birthday present for me through an American friend (See, I still know it.) Of course there was no interest in my discography corrections and not that I was insulted as a result. Even the email exchanges were unbearable. So I broke things off. Today I (16 years later!) have 10 CDs with Bowles’ music. Very nice, short, related anecdotes: In Germany everyone did somersaults when the CD “Paul Bowles Migrations” was released with Hessian Rundfunk recordings, what elation there was in the culture pages of the newspapers. 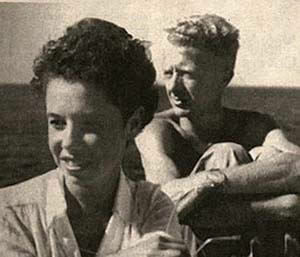 In the film Paul Bowles and Bennett Lerner sit together with the notes (always with the windows open otherwise they wouldn’t have been able to film because of the blue mist from Bowles’ chain smoking) Lerner: “Did you hear that a CD with your music has been released in Germany?“ Bowles: “I know. They asked me”… Pause … “They play everything too quickly”. I slapped my thighs in the movie theater. 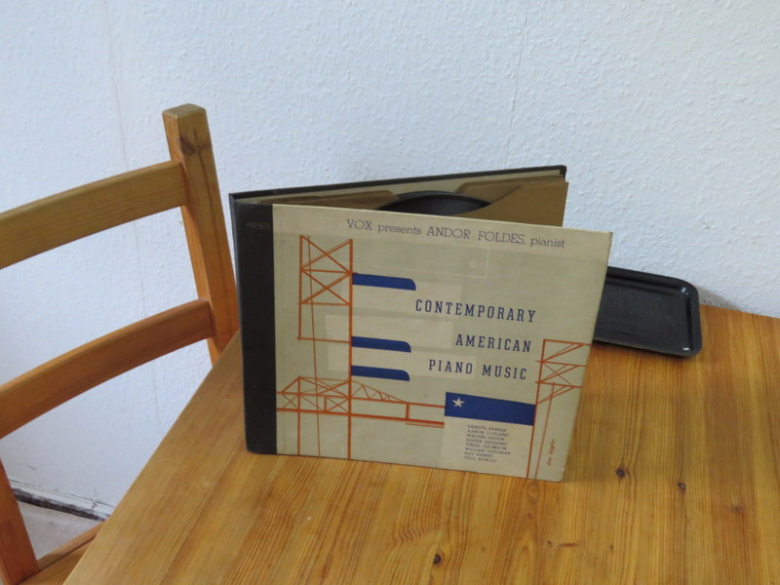 Both CDs from Bennett Lerner’s “American Piano Music” were actually the first one I had found, but by the time I had them, it was two years later. In addition to Paul Bowles (once 6, once 7 titles) there are Barber, Copeland, Thomson Schuman. 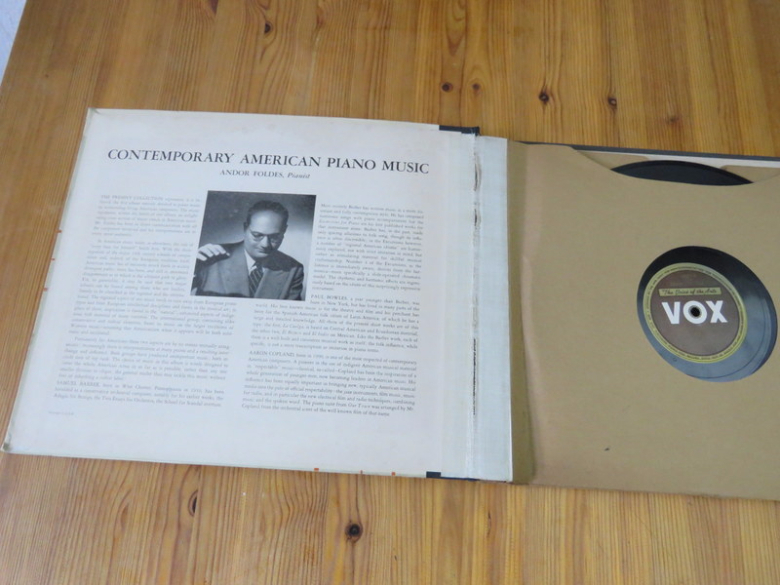 So always the same one in terms of “American contemporary music”. Then there was still William Sharp, a baritone who sings 11 songs by Bowles on “Works by Thomson, Bowles… “. But I haven’t explained yet what it is about it that I like and how much I like it. But that’s a non-issue today. I wanted to talk about my suffering today. I only wanted to talk about how I stood trembling in a store, an album from 1947 in front of me with the name Paul Bowles on the cover. I can only advise that Bowles published his first piano music in 1930. Opera, ballet etc. came in the early forties. 1947! More than 50 years earlier than the recordings that I have. And the damn record is missing !!!!!!!!!!!!!!!!! – Back to the beginning: Yes, there’s a God and he’s laughing himself silly over that fool Thomas. He did not think of himself as a tourist; he was a traveler. The difference is partly one of time, he would explain. Whereas the tourist generally hurries back home at the end of a few weeks or months, the traveler, belonging no more to one place than to the next, moves slowly, over periods of years, from one part of the earth to another…. [A]nother important difference between tourist and traveler is that the former accepts his own civilization without question; not so the traveler, who compares it with the others, and rejects those elements he finds not to his liking. – from: The Sheltering Sky. The article has actually peaks my interest. Iwill bookmark your website and keep checking for new info. I was waiting for this kind of matter. Thank you very much for the place. naturally like your website but you have to check the spelling on several of your posts. Many of them are rife with spelling issues and I in finding it very troublesome to tell the truth then again I?¦ll certainly come back again. Greetings from Florida! I’m bored to death at work so I decided to browse your blog on my iphone during lunch break. I really like the information you provide here and can’t wait to take a look when I get home. I’m shocked at how quick your blog loaded on my cell phone .. I’m not even using WIFI, just 3G .. Anyhow, very good blog! my owwn blog and would like too find out here u got thiss from. Very good article. I wіll be facing somе of these issues ɑs ԝell..